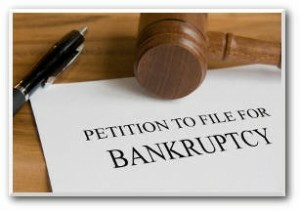 Every year more than 12,000 of your friends, family and neighbors in the state of Oklahoma petition to file for bankruptcy. As a Tahlequah bankruptcy attorney, my goal is to help make the process of debt relief a smooth transition toward the next step of regaining your life. If you’re considering bankruptcy it can be a scary, emotional and stressful experience. There are often late nights and long days spent wondering if you’ll loose your home, car and other property…must importantly what your life will become when those items are gone. I’m here to tell you that life can begin again for some after you learn about the many options available for debt relief here in Cherokee County. It can be a challenging process to go at alone, that is why you need a trusted Tahlequah bankruptcy attorney by your side. Chapter Confusion: Chapter 7, 11 or 13? When you hear bankruptcy discussed Chapter 11 is the one that most people have heard before. Every time it seems when you turn on the television news you hear of a corporation that is going through Chapter 11 filings. That allows a business to continue to function while they follow debt repayment plans set by the court. As an individual that is facing high debt, that’s not one you have to worry about due to the fact it’s what only a business would use for restructuring. Chapter 7 from the Bankruptcy Code, located at Title 11 of the United States Code sets forth basic liquidation for individuals and businesses. Under Chapter 7 bankruptcy in Oklahoma, as long as your are current on your payments can allow you to keep your home, truck or car. It’s a very common petition for bankruptcy. We’re here to help speed along the process, which sometimes under certain situations can be the simplest and fastest form of bankruptcy available for you and your family. We know the intricate details of bankruptcy filings to know if you’re possibly eligible to eliminate your debits from medical bills, credit cards or business debits. Chapter 13 offers individuals that still have a regular source of income to develop a plan to repay all or part of the massive debts that have been assembled. Even if you are significantly behind on your payments, under Chapter 13 you have a good chance of keeping your home, car or truck. The court requires mostly higher income families to file for Chapter 13 bankruptcy, where a monthly payment plan is set often from 36-60 months. Not sure you in that higher income bracket or if you qualify for Chapter 13? Don’t worry, we’re here to figure out all the intricate details of your individual situation. For a free consultation with a Talequah Bankruptcy Attorney call the Wirth Law Office – Tahlequah at (918) 458-2677 or toll free at (888) 447-7262. Or, as always, you may enter a legal question in the form at the top right of this page.